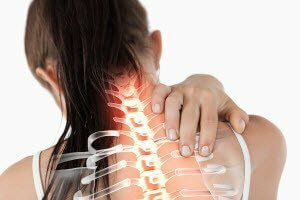 Do Chiropractic Methods For Neck Pain Work? Do you know what one of the most common reasons why people seek pain management? Patients complain of experiencing neck pain more than any other type of pain, including back pain. Fortunately, chiropractic methods for neck pain are treatments that are very effective in alleviating the pain you may be feeling in your neck. Not only do chiropractors work to find out the cause of the pain, they also work with patients to relieve the problem. Chiropractic methods that are used to treat back pain are less invasive than other methods such as surgery, and these methods are safer than taking prescription medications. Chiropractic methods for neck pain are also an excellent alternative for those who want affordable, quality care. Neck pain can be attributed to many different issues. Many times, the pain is caused simply because a person has poor posture, or the neck is placed in a position that causes misalignment. Injury to the neck that is caused by an accident or other type of physical strain can also cause mild to moderate damage to the neck. Slipped disks can also cause neck pain. It does not matter what is causing your neck pain, a chiropractor can diagnosis your specific issues. Often, a chiropractor will examine the neck as well as the entire spine in order to determine if the pain is originating from another location. There are several different types of chiropractic treatments that can be used to alleviate and reduce neck pain. Chiropractic adjustments are often used to relax the spine so it can realign itself naturally. An adjustment is a type of massage that employs the use of gentle pressure to relax certain muscles. The adjustment can eliminate muscle tension and the pain from a pinched nerve. Ultrasound technology is also a safe chiropractic method that can provide neck pain relief. This stimulation can offer patients short term relief and long term relief. Chiropractic methods for neck pain can help prevent issues associated with alignment that are the frequent causes of neck pain. However, if the pain cannot be prevented, chiropractors offer other treatments that are affordable and non-invasive. Even after your pain has been eliminated, you can continue to receive chiropractic treatment on an as needed basis to prevent the recurrence of the pain. Find out how Dr. Renee White of Champion Chiropractic can alleviate your neck or back pain. Contact her office today to make an appointment.